Agile software development practices are undeniably effective. However, even the most successful companies can face challenges when trying to scale agile practices on an enterprise level. 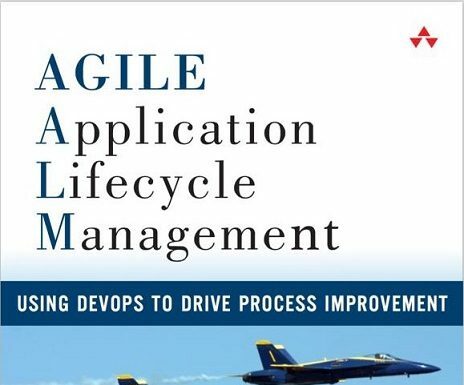 Two popular approaches to implementing agile across the enterprise are Scott Ambler‘s Disciplined Agile 2.0 and Dean Leffingwell‘s Scaled Agile Framework also known as SAFe. These approaches may work well for agile, but how do we implement DevOps across the enterprise? DevOps is going through many of the same growing pains. Many small teams are very successful at implementing DevOps, but trying to implement DevOps best practices on an enterprise level can be very challenging. This article will help you understand how to be successful implementing DevOps across the entire Enterprise. Agile development and DevOps focus on a number of important principles, including focusing on individuals and interactions over processes and tools, prioritizing working software over volumes of documentation, valuing customer collaboration over just contract negotiation as well as responding to change over following a plan. All these practices are familiar to anyone who adheres to the Agile Manifesto, DevOps and agile development share a lot more in common than just a set of principles. Agile development usually requires rapid iterative development, generally using fixed timebox sprints. Agile development highlights the value of rapid and effective application development practices that are fully automated, repeatable and traceable. It is no surprise then that DevOps has been especially popular in agile environments. DevOps focuses on improved communication between development and operations with an equally essential focus on other stakeholders such as QA. DevOps at scale may require that you consider organizational structure and communicate effectively with many levels of management. You can expect that each organizational unit will want to understand how DevOps will impact them. You may have to navigate some barriers and even organizational and political challenges. There are other key requirements that often come when we consider scaling best practices. The first consideration is that larger organizations often want to establish a centralized support function which may be established at the divisional level or could be a centralized corporate wide entity. This may mean that you have to establish a corporate budget and align within the corporate structure and obviously the culture too. You may be required to create corporate policies, mission statement and also project plans consistent with other efforts of similar size and effort. Even just purchasing tools which are essential for effectively implementing DevOps may require that you adhere to corporate requirements for evaluating and selecting tools. I have seen some of my colleagues become frustrated with these efforts as they felt that they already knew which tools should be implemented while organizations usually want to see a structured tools evaluation with transparency and participation by all stakeholders. These efforts, including a proof of concept (POC) can help to overcome resistance to change that often can be seen in larger efforts to implement any best practice, including DevOps. My own approach is to pick a pilot project to handle correctly – right from the beginning that has high visibility within the organization. In practice, I have often had to juggle day-to-day duties supporting source code management or automated application build, package and deployment. With a challenging “day-job” it can be difficult to also have a “star” project to show the value of doing things the best way from the beginning, but this is exactly how to get started and demonstrate the success that the organization can enjoy enterprise-wide once you attain stakeholder buy in. Once the pilot project has been shown to be successful it is time to consider rolling out DevOps throughout the enterprise. For DevOps practices to be effective in the enterprise they must be repeatable, scaleable, and fully traceable. An important consideration is establishing a support function to help each of the teams with training (including tools) and ongoing support. The implementation of these practices must adhere to all of the corporate policies and align with the organizational structure and culture. DevOps also must address the requirements of the organization’s technology platform. In practical terms, this usually brings me right into the cloud. Most large organizations are embracing cloud based technology and cloud based development. Implementing DevOps must also include support for the cloud in several very important ways. Provisioning servers in the cloud is a very initial step that allows DevOps to truly show its value. In fact, managing cloud-based development is much more difficult without the improved communication and deployment automation that has become synonomous with DevOps. DevOps in the enterprise does require some specific organizational skills. This must include an understanding of the organizational and structural requirements that are essential in implementing DevOps in the enterprise.